Starting this month, you will be able win up to 10,000 FANZ tokens each month in our leaderboard, based on how many views your streams receive. Every view you get on your live streams – and replays of your live streams – moves you up the Leaderboard and gets you closer to claiming the monthly top prizes. View the leaderboard here. FANZ Tokens are the cryptocurrency that will power the sports media industry of the future. In the future, you will be able to be use FANZ to unlock upgrades and access, purchase merchandise or simply cash out to your bank account using one of our exchange partnerships (some terms and conditions apply). Go Live - and go live often! The members that attract the most amount of views to their streams win the tokens. Share the replays of your SportsCastr streams on Facebook and Twitter, because those views count just the same as live views. The leaderboard resets every month. It has been an exciting and busy start to 2019! SportsCastrs all over the world are creating more live streams - and better live streams - than ever before! Check out all of the big updates from the past 8 weeks. Insights from STATS Now SportsCastrs have access to all of the stats and storylines that the pros on TV have. Take your NBA and NFL play-by-play to the next level with Insights from STATS! Richard Sherman Joins SportsCastr Richard has a Super Bowl ring, has made four Pro Bowls and now we are honored to have him as our partner and Official Brand Ambassador! NFLPA Rookie Premiere Competition SportsCastrs all over the world can compete to win the April Monthly Leaderboard in order to capture the Grand Prize of a trip to Los Angeles for a VIP experience of the NFLPA Rookie Premiere. Updates to SportsCastr.com Updates to the frontpage of SportsCastr.com make discovering - and getting discovered - easier than ever. Tons of huge updates coming soon, so be sure to check back here and keep up with us on all our social channels! The new SportsCastr.com is here! The new homepage and video auto-play makes it easier than ever to find what you're looking for and immerse yourself in the SportsCastr universe. Dive in! Recent and trending streams are now front and center. Go deep. Now, when one SportsCastr stream ends another one will play automatically. Be on the lookout for more and more updates and upgrades coming soon! "[Blockchain] technology will revolutionize the industry and sports together with it. The partnership with SportsCastr is one the first steps of this path towards the crypto industry." "SportsCastr removes the barriers between the athlete and the fan." 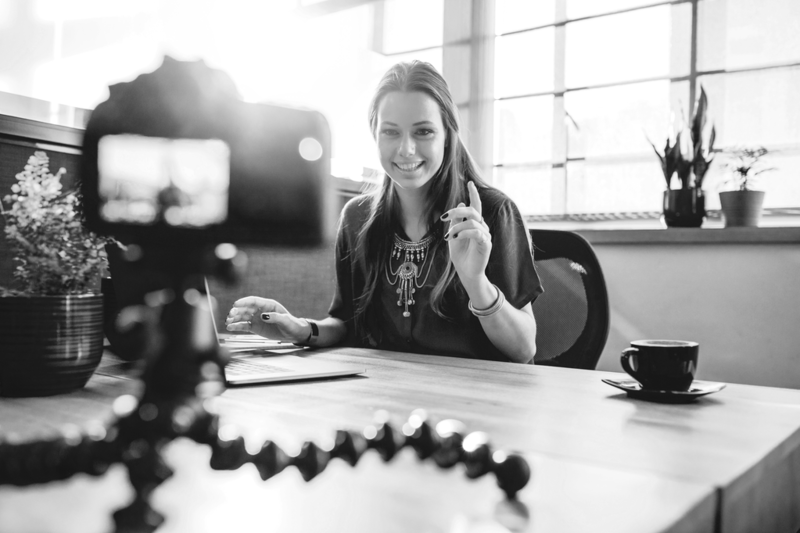 "Athletes constantly explore ways to build their personal brands and creatively connect with their fans, and SportsCastr’s live-stream capabilities align perfectly with these goals." We are thrilled to announce our partnership with the NFL Players Association! The NFLPA has not only acquired an equity interest in SportsCastr, but will be supplying NFL players, past and present, to stream live. The news was picked up internationally by publications such as Forbes, CoinDesk and SportTechie. Stay tuned for more updates on what we are sure will be a long, prosperous relationship between us and the PA, one that will make SportsCastr more fun, more unique and more rewarding. Months of work have culminated in the announcement of our cryptocurrency: The FanChain Token! David Stern, an advisor to SportsCastr and former Commissioner of the NBA says we are “going to lead a revolution” in sports media, and our community of users are at the heart of that revolution. Imagine you’re a Calgary Flames fan. When you go live on SportsCastr and talk about your favorite team you’ll earn Calgary Flames FanChain Tokens. You’ll be able to use those team-specific tokens at our FanPrizes.com on Flames hats, posters, shirts and memorabilia! Since the FanChain ecosystem is decentralized, that means that any digital sports platform can accept and distribute FanChain Tokens. One day you’ll be purchasing your season tickets and streaming subscriptions all with FanChain Tokens; and you’ll be able to earn those FanChain Tokens on SportsCastr, on blogging platforms, on social networks and as part of rewards programs from brands, leagues and teams. While most of the world is asleep our world-class developers are making various UI updates and fixing bugs left and right. This latest version of SportsCastr is clean and super user-friendly. And there are tons of groundbreaking new features coming soon, so be sure to stay tuned. This latest version of SportsCastr is clean and super user-friendly. 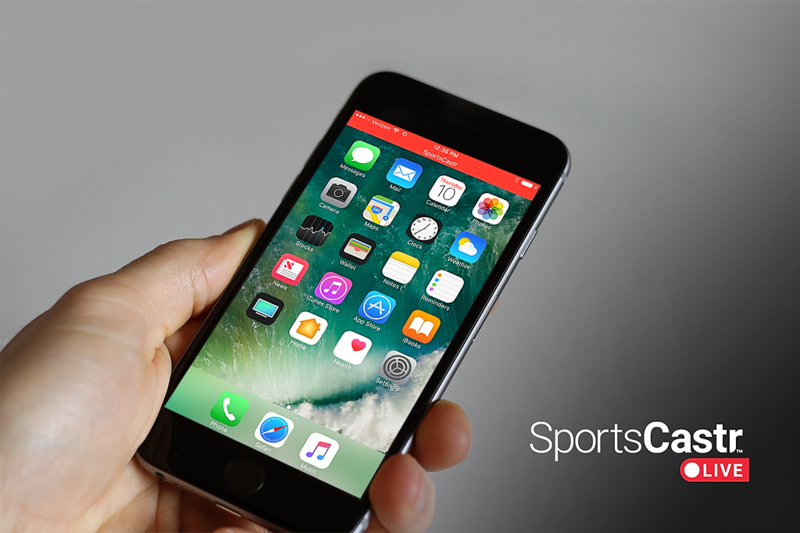 Read all about how this version of SportsCastr came to fruition in our latest Medium article here. The SportsCastr Game of the Week is here! The top-5 users will receive prizes! Read the latest Medium article we've written about the Game of the Week here. This lastest version of the app renders SportsCastr more fun, immersive, and accessible than ever before. Mobile Web Updates - Unified user experience across all platforms - desktop or mobile. Good news for you Android users! It’s kind of amazing that it’s been almost exactly one year since the Alpha version of SportsCastr was launched in the App Store. We’ve come so far and had so much fun. And there is so much more coming soon! The latest update ensures the best user experience possible! Today we’re excited to announce the latest version of SportsCastr! The new updates make SportsCastr a truly immersive social experience, full of fun social features that make discovery and getting discovered seamless and rewarding. We are thrilled to bring you the latest version of SportsCastr. Our work improving the platform never stops, so be on the lookout for even more updates coming very soon! A major update to Beta II just hit the store. The new version introduces a new area that makes it easy to keep track of other users you follow, in addition to various bug fixes and improvements. Corresponding with the huge milestone of nearly 50,000 minutes of live video broadcast on our beta platform, an incremental update hit the Apple iTunes App Store over the weekend. In addition to general optimizations and bug-fixes, the new build features support for the Apple iPhone SE and some nice cosmetic changes like a revamped Login panel. New invite friends center: From here, you can automatically sync with your iPhone’s contact list to see who’s already on the platform and easily invite contacts who haven’t joined SportsCastr yet. You can also invite friends via FaceBook, Twitter and email. Whenever possible, your special invite link will include a smart-link that will make your invitees automatically become your friend when they join (coming soon). New dynamic loading progress bars: Visual indicators now show up as live streams load creating an improved UX. Full screen intros and outros: Automatically generated full-screen, HD “team vs team” intros and outros are now displayed before game-streams in both vertical and landscape orientations. 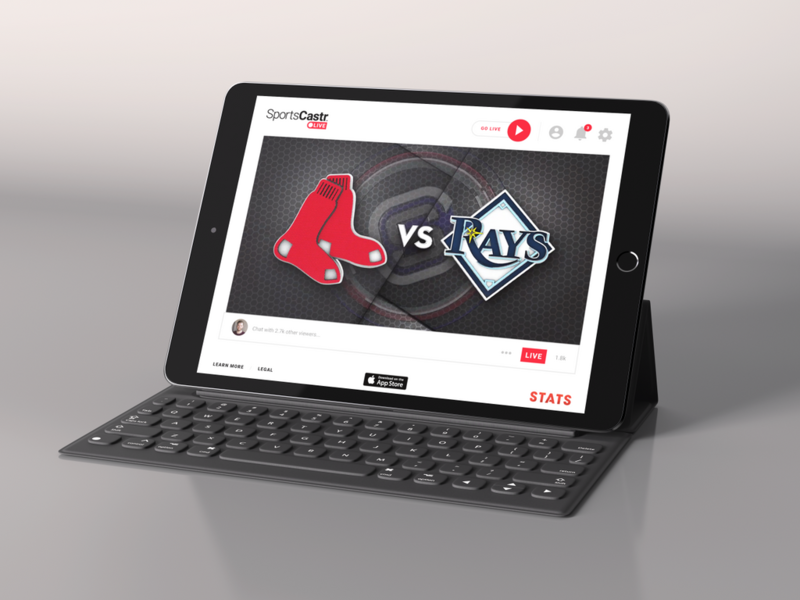 Beta II introduces core functionality that positions SportsCastr as the ultimate second-screen experience for sports fans. iPhone X compatibility and much, much more. ... a few surprises. Stay tuned. As our embed functionality gains popularity, we added a way for websites and other publications to keep users on their page. 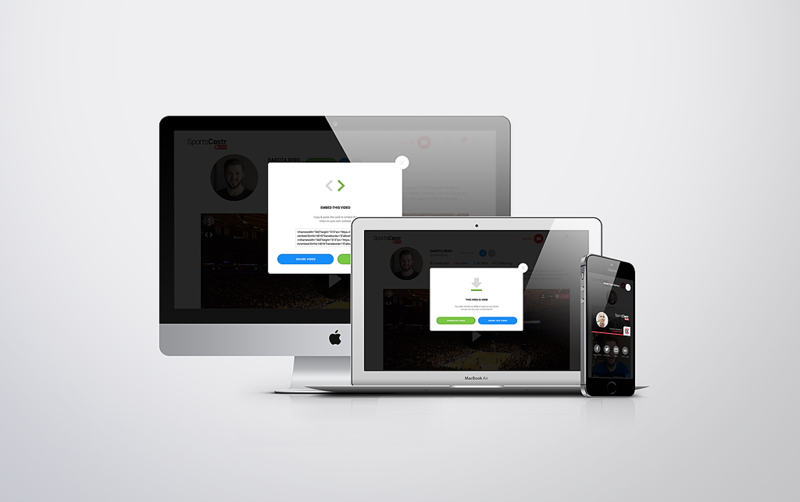 Viewers watching an embeded SportsCastr stream can now instantly register to chat, follow and share without ever leaving the site the stream is embedded on. This new flow allows users to register for an account and jump into chat in less than 15 seconds and supports Twitter and FaceBook authentication. There's now a low-bandwidth mode that you can toggle on manually. With this mode selected, you will be able to stream video (albeit at reduced quality) from your desktop or laptop. This is especially important for users who have been trying to stream from in-game locations where connectivity is limited. Access this in your Settings when you're logged into your account. Note that this toggle is only relevant on the web - the app automatically used adaptive bit rate technology. We've added a page talking about how SportsCastr can be used by other publishers. Member Search: You can now easily find your friends and other users by typing in their username or first and last name. This currently only searches members but will be expanded to include tags and streams in the near future. Universal Member Cards: The Member Cards displayed you see search results have been implimented globally, so you will now see them anywhere there is a list of users (Eg. Following lists). Header images: You can now add header images to your Channel. If you selected a favorite team or league when you signed up, your header image will automatically be customized to reflect your fandom. Your header images are also used in your Member Card, making them an effective way to add some personality to your account throughout the site. You asked and we delivered - This version introduces portrait Streaming: You can now stream in both landscape and portrait - perfect for one-hand operation. When streaming, you can now end your stream with one-swipe or tap the "Stop" icon for the regular confirmation step. New custom social share panel to easily share on FaceBook, Twitter, Messages or Email. As part of the above new social share tool, we added selectable social share images to make sure you're always sharing the best thumbnail (no more awkward frames with your eyes closed). We added a “More Menu” that lets you hide the chat; flag broadcasters for review; rotate between front and rear cameras or mute the audio. With thousands of users now, we added natural scrolling for long lists... this means when you're scrolling through lists of videos or users, you'll have a much smoother experience. ...And we did all of this while reducing the size of the app significantly to only 87MB! Download it from iTunes App Store Today! You can now embed your channel on any blog or website (see the tutorial video here). This is a great tool for publishers. Example: USA Today's MMAJunkie used this tool to cover the MayMac fight. After each stream, you will now receive an email that includes a link to download your stream, share it, or embed it! We've introduced a new ultra-low latency player on the web. The new player allows viewers to select video quality (defaults to HD for users with fast internet connections, but viewers have the option of dropping down to a low quality stream if their net can't keep up. With this new player, you no longer need Adobe Flash installed to get 2-3 second latency. Trying to figure out how to use an external camera with OBS? We've released a tutorial video showing you how. We've just put online our "explainer video" - check it out here and share away! We are also now suggesting accounts to follow during onboarding. This feature will allow us to promote our top users to everyone who signs up. Both of these features will be opening up to existing accounts in next build. We also fixed some critical bugs around Twitter sharing and FaceBook sharing. Both features should be working flawlessly now - give them a try! We've opened up our OBS feature to the world. This lets you easily use an external HD camera with SportsCastr! Time to look like a pro. Learn how to setup OBS here. Download: You can now download your streams, complete with all of SportsCastr's broadcast-quality motion graphics and game stats. Only owners have access to download their videos (your viewers cannot download videos you make). To download a video, simply visit your channel on the web and you'll see a new download icon overlay. Embed: In addition to being able to download, you can now easily access an embed code for each stream that you can share on your website, blog or other social platform. Share: Finally, we added a quick share function that lets you post any stream to social right from the channel view. These features will be added to the app in an upcoming update. In the mean time, enjoy them on the web! Ever wanted to pause a broadcast during a commercial break, or to quickly check into another app? SportsCastr 1.2.3 just hit the iTunes store and it supports "background mode." If you hit your iPhone's home button while you're in the middle of live-streaming, your viewers will receive a message letting them know that your broadcast has been paused. Simply return to the app to resume your stream. We’re on a mission to make you look like you’re in a studio, regardless of where you are. To that end, today we released automatic into animations. These sub-two-second animations are created on-the-fly based on the game or match you selected to talk about. We’re starting with MLB, but stay tuned for NFL, NBA and more as those seasons kick off. Welcome to the SportsCastr.Live change log. We will document updates to the web and app platform here, regardless of how small the change may be.